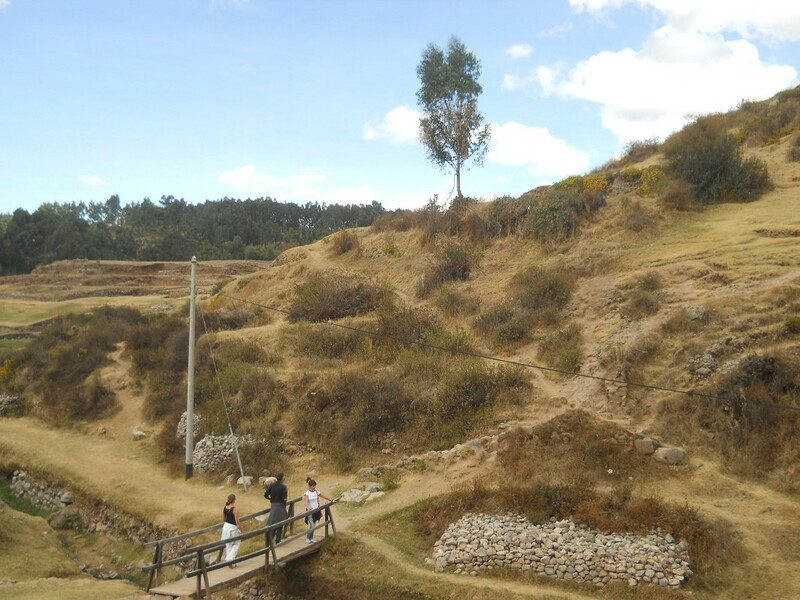 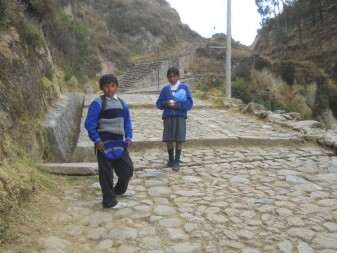 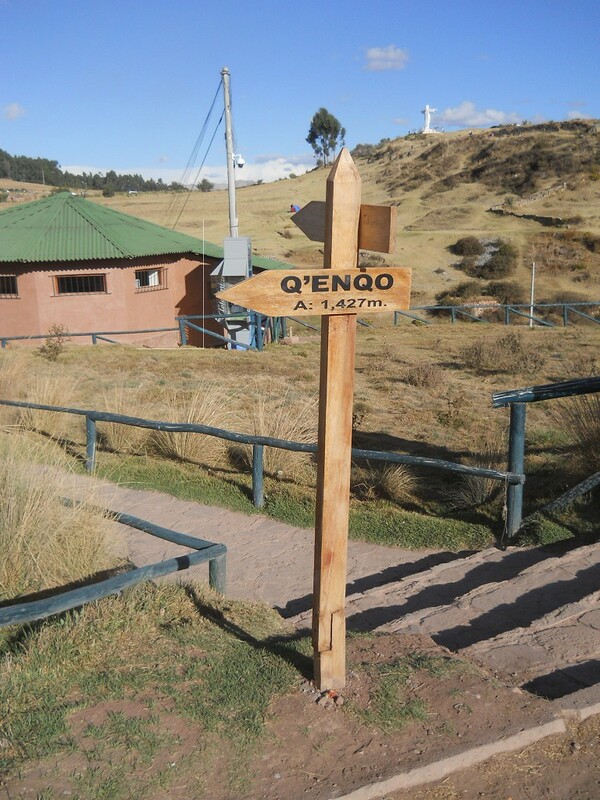 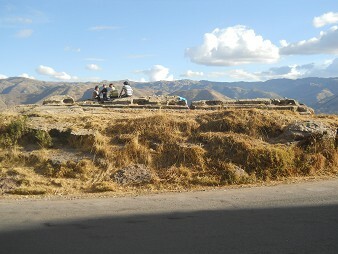 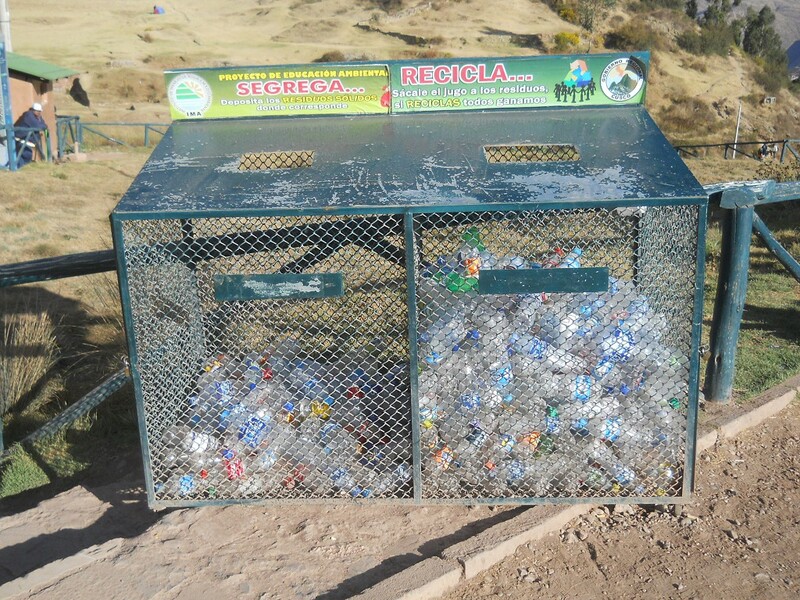 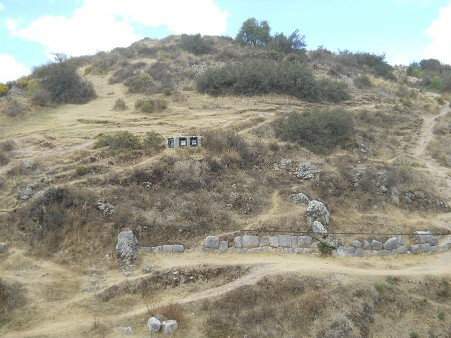 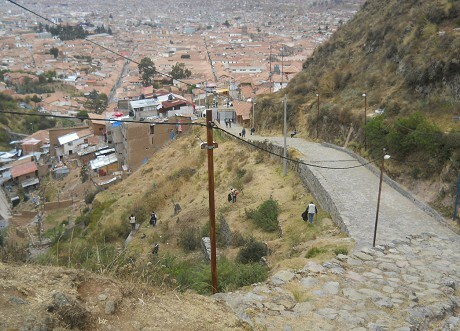 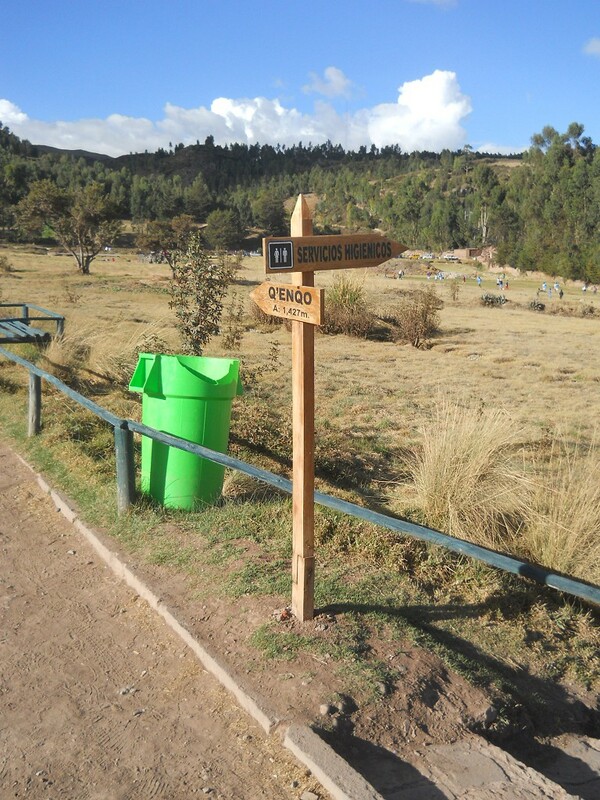 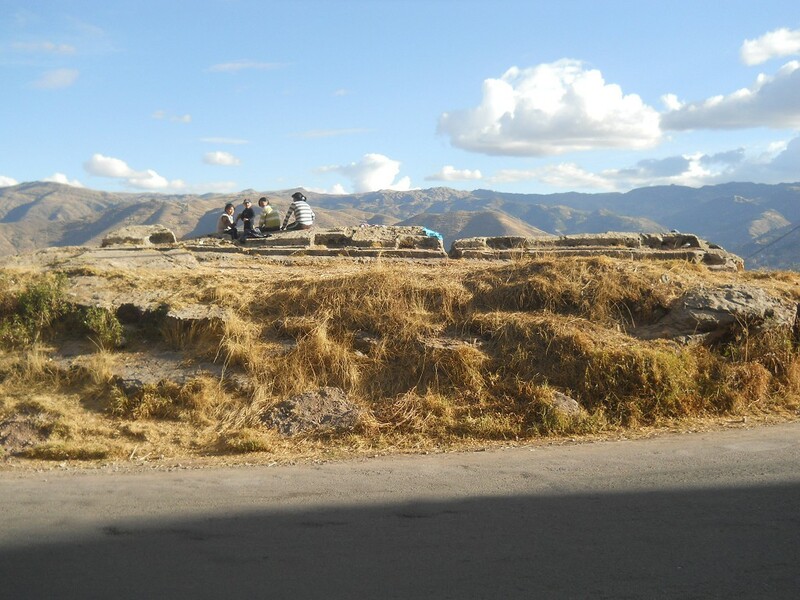 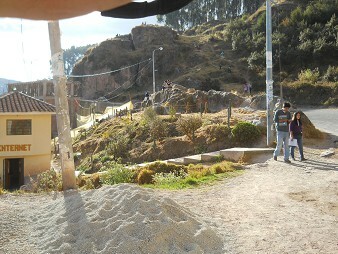 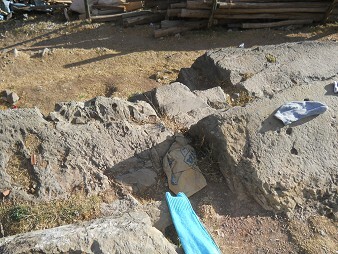 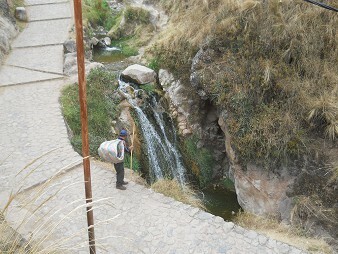 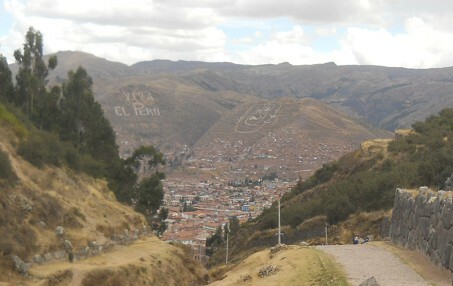 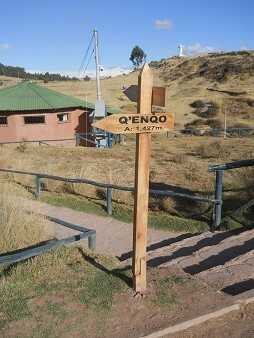 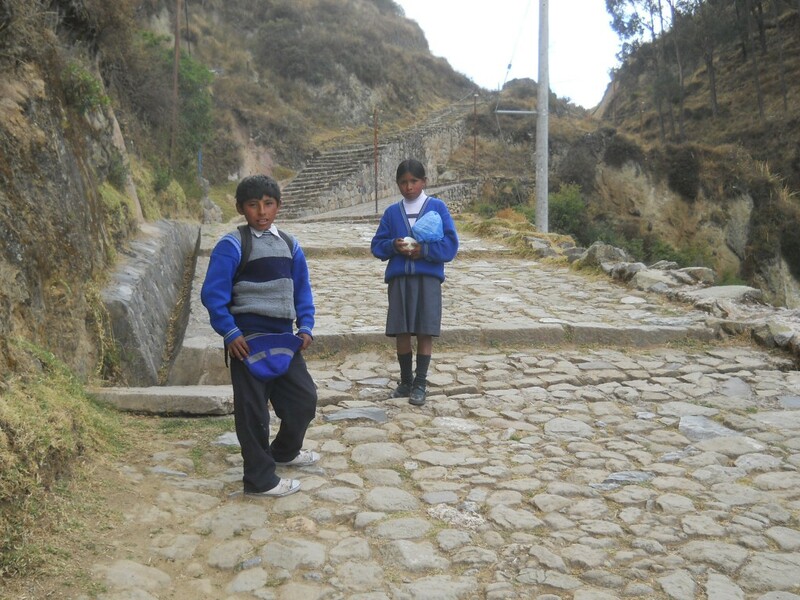 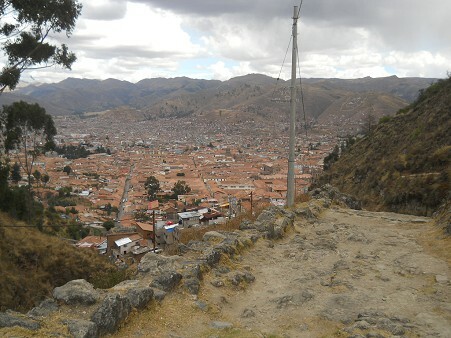 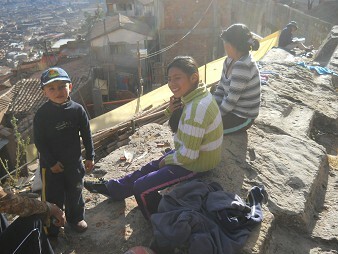 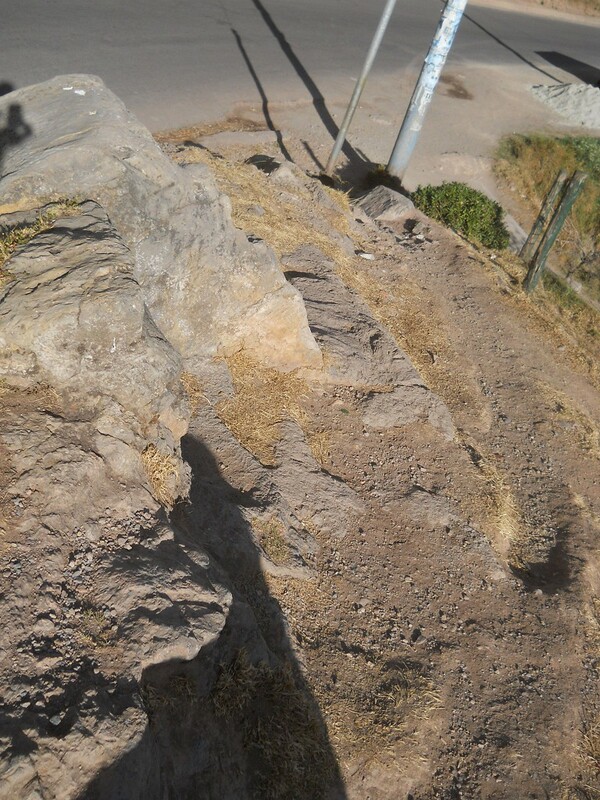 Now we are leaving the territory of Cusco Sacsayhuamán passing a toilet house and a recycling post for plastic bottles. Well, here is the question, how it's possible that there is one stone in the first row missing. 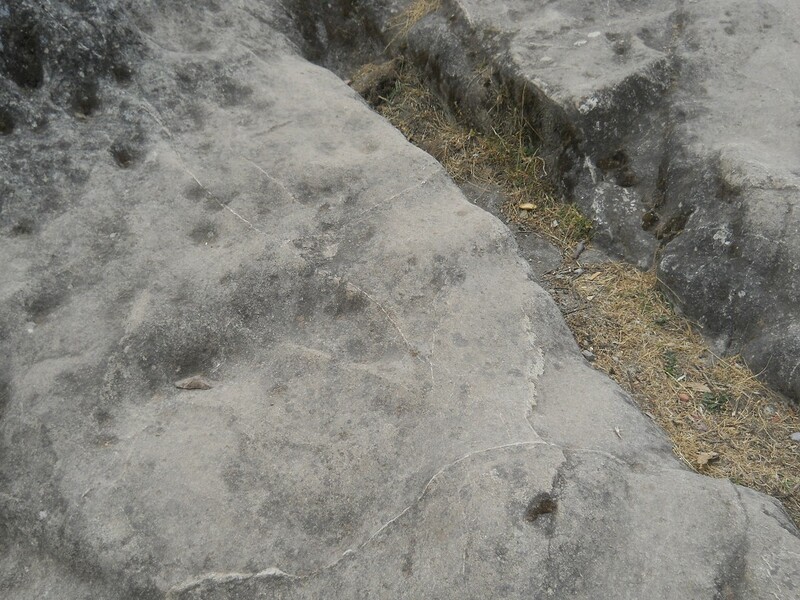 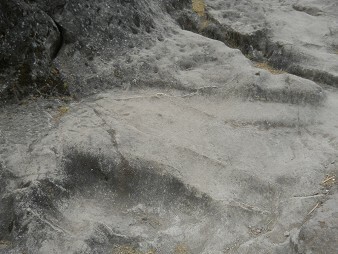 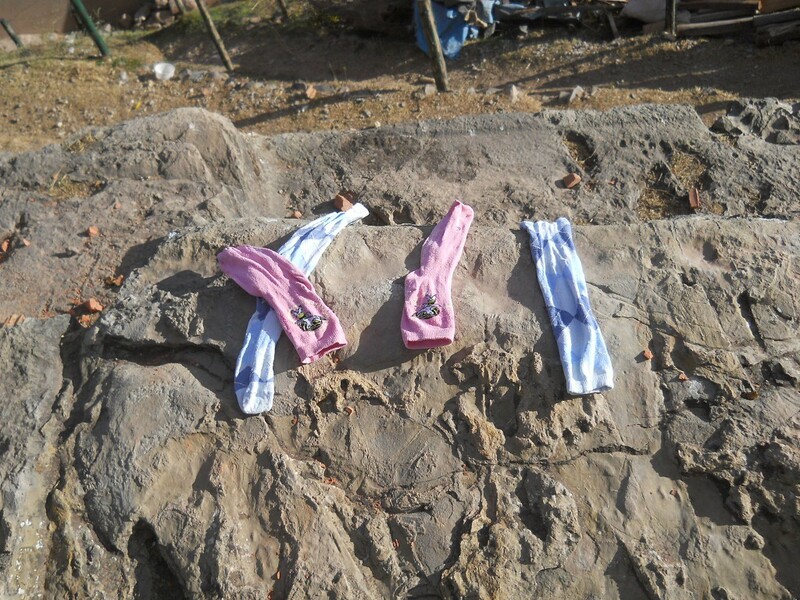 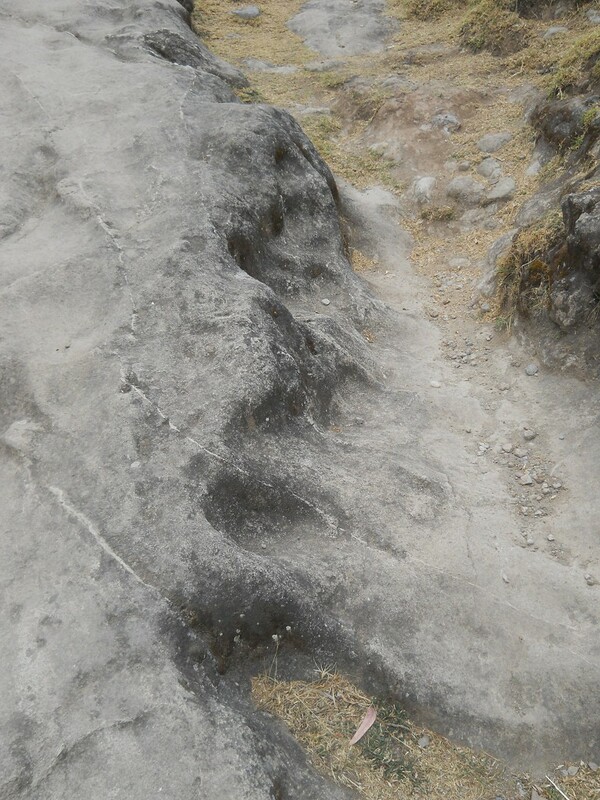 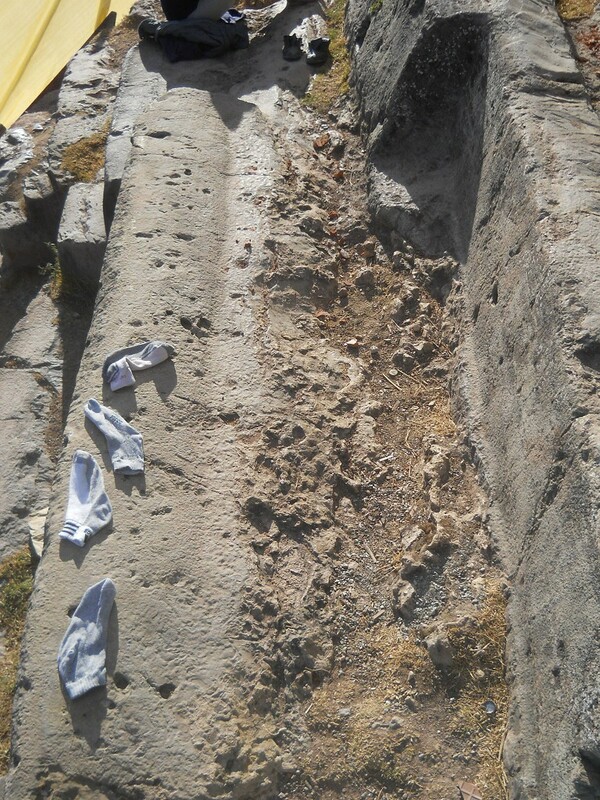 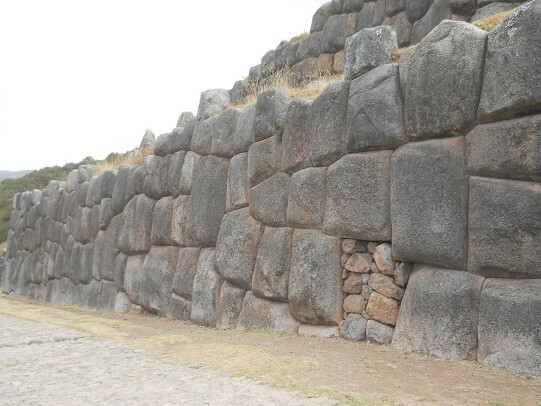 One more mystery in Cusco Sacsayhuamán. 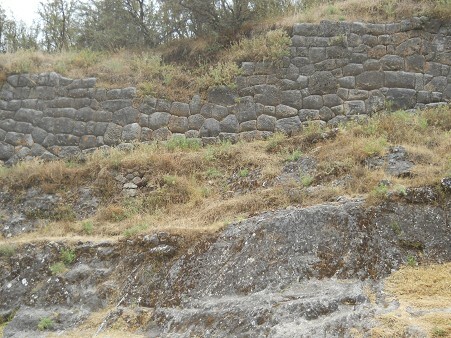 And I promis you that this is not the last wall yet! On the other side of the valley one can see a neglected landscape - and there are even walls for being excavated! 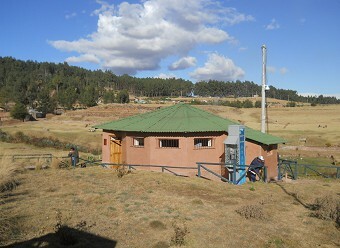 Unfortunately the toilet house has a bad effect that the sewage is led into the creek as it seems, and the water of the creek cannot be used not even to wash the hands. 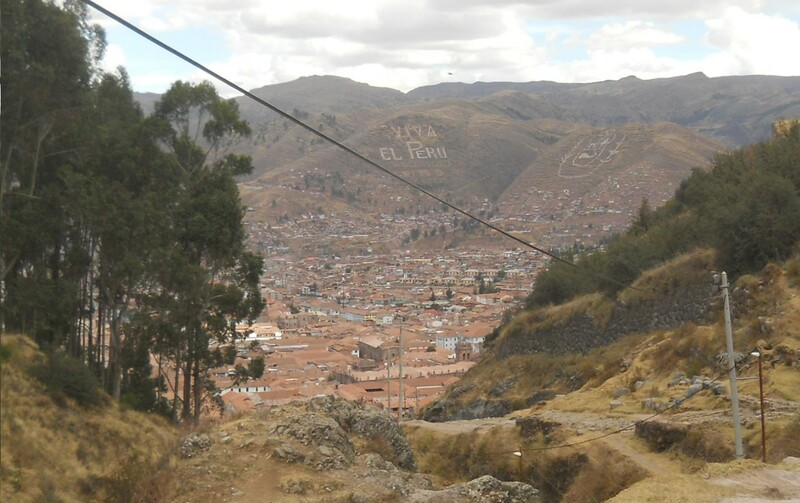 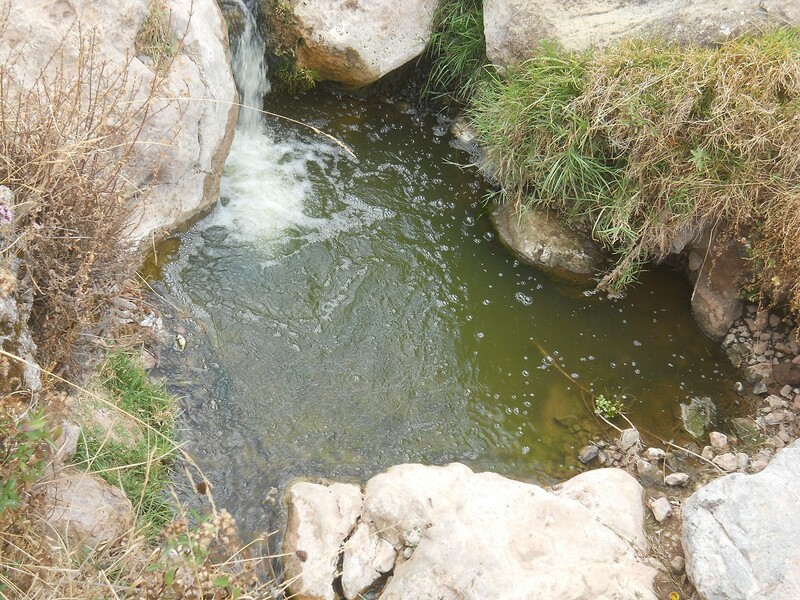 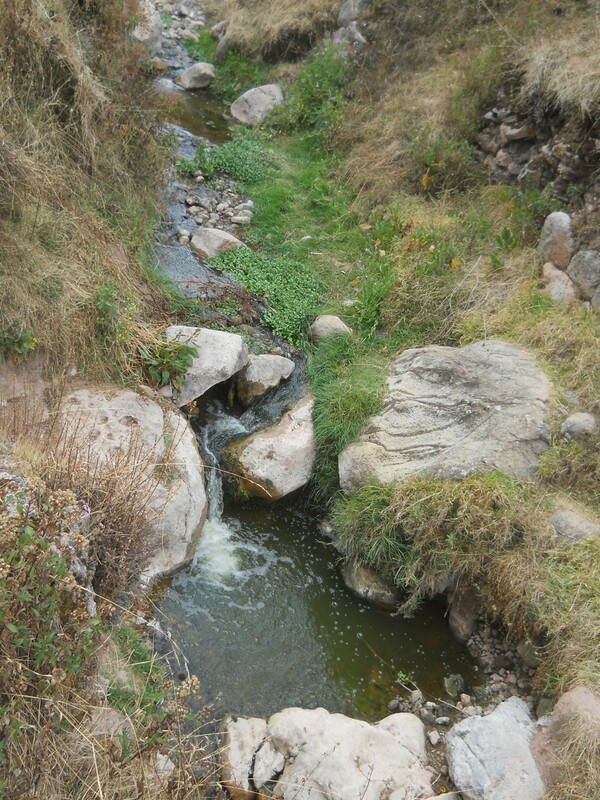 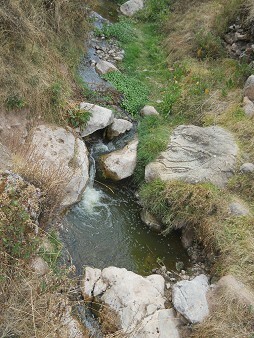 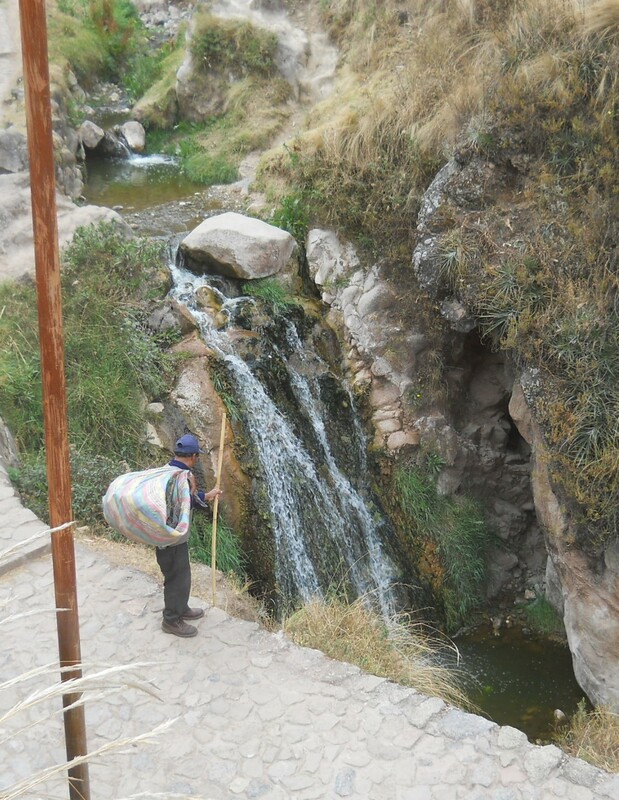 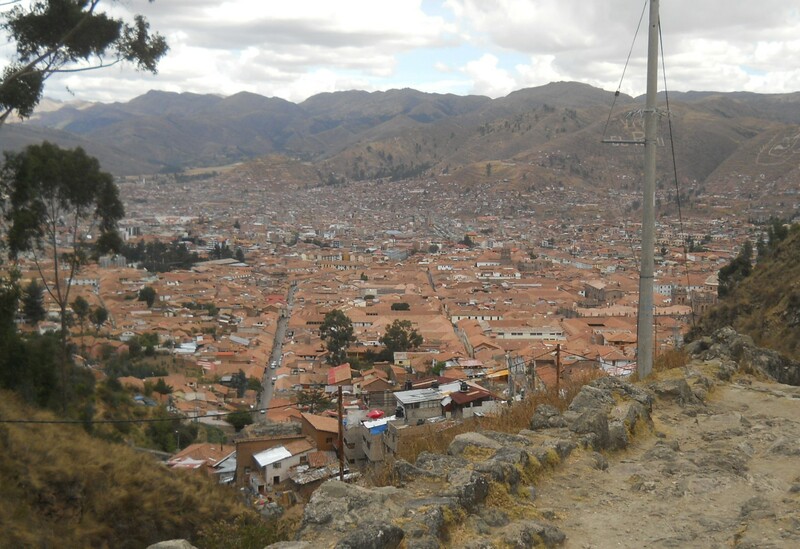 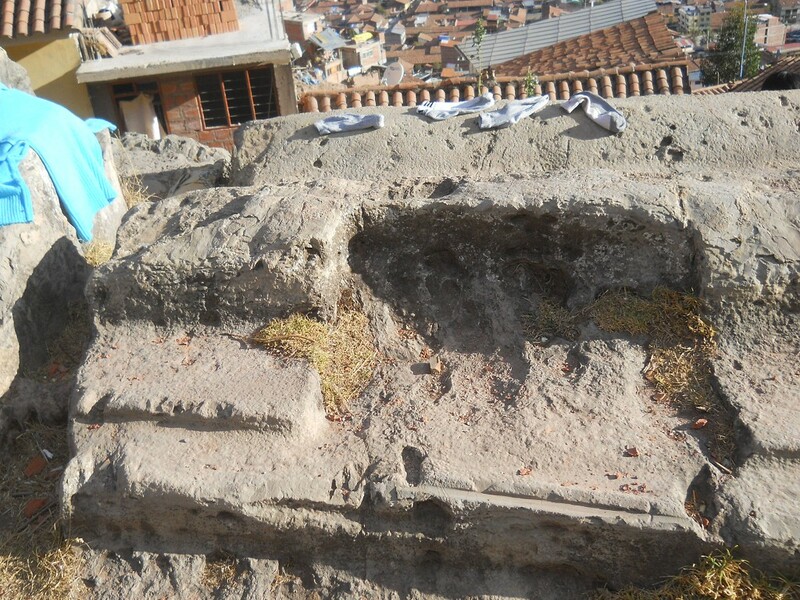 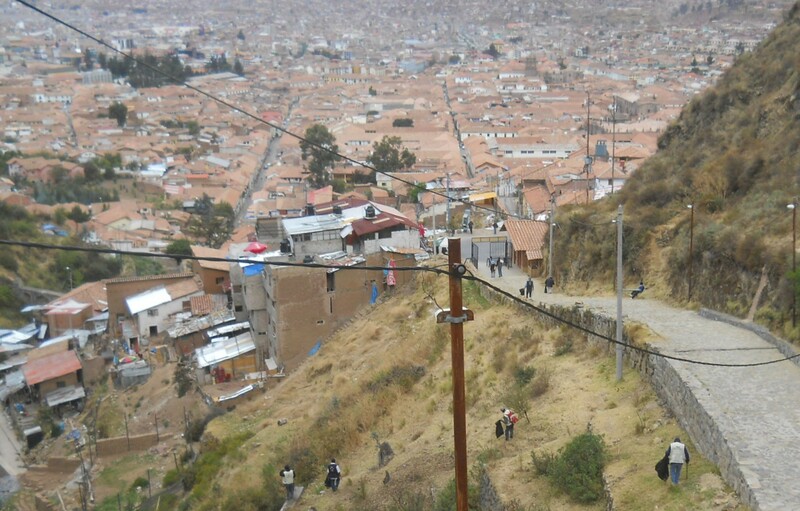 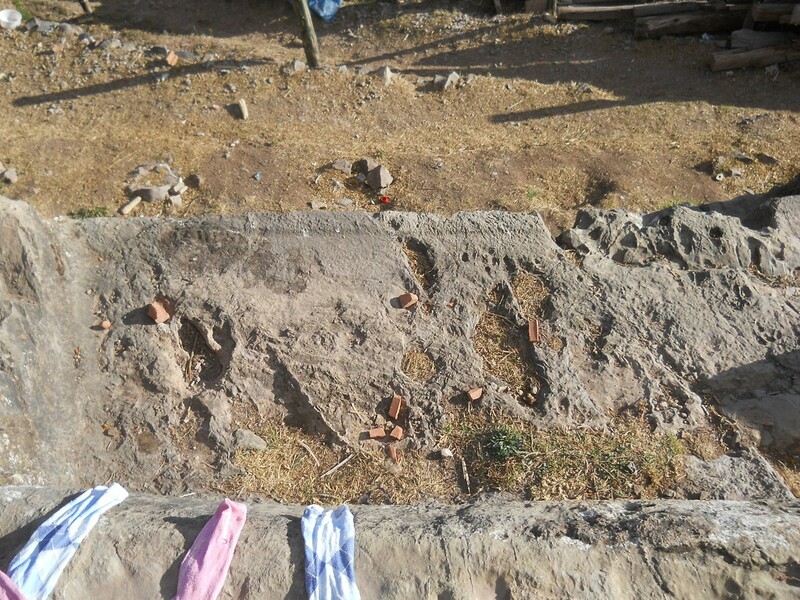 A tube is missing as it seems, and in cusco a complete sewage plant is missing! 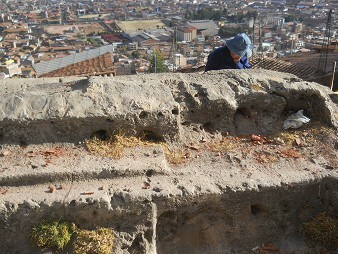 Here is another site one could make excavations yet: nobody knows what will be behind this giant wall with flower designs. 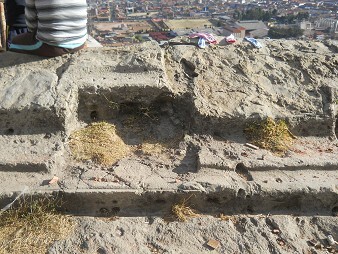 May be this was another big temple. 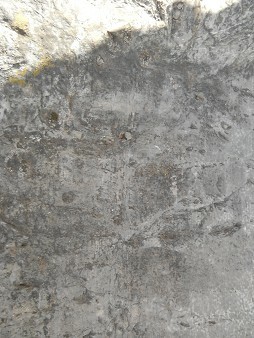 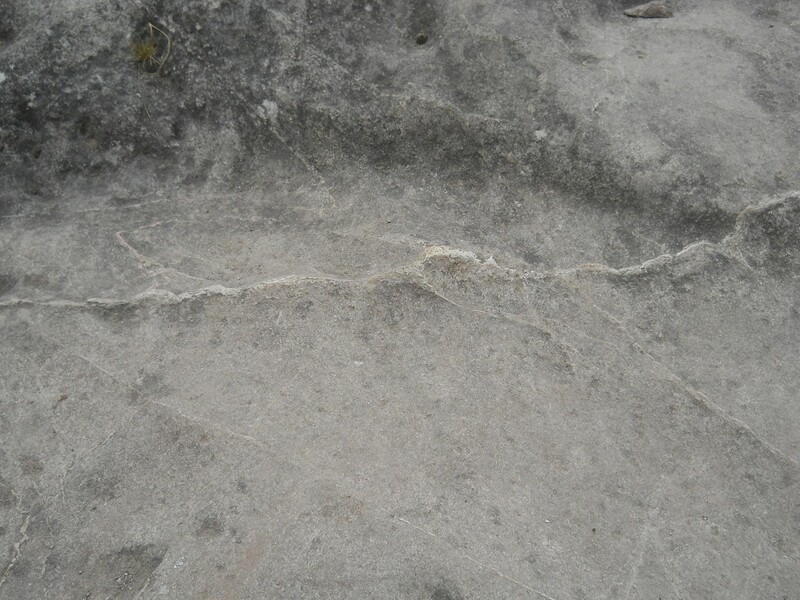 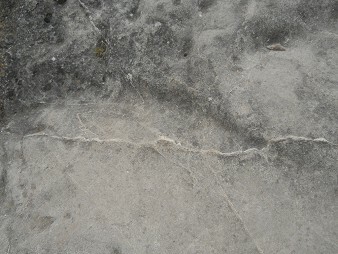 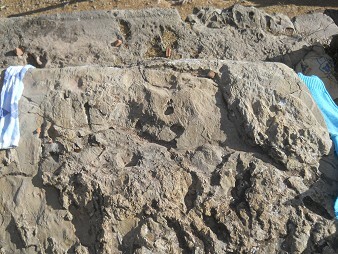 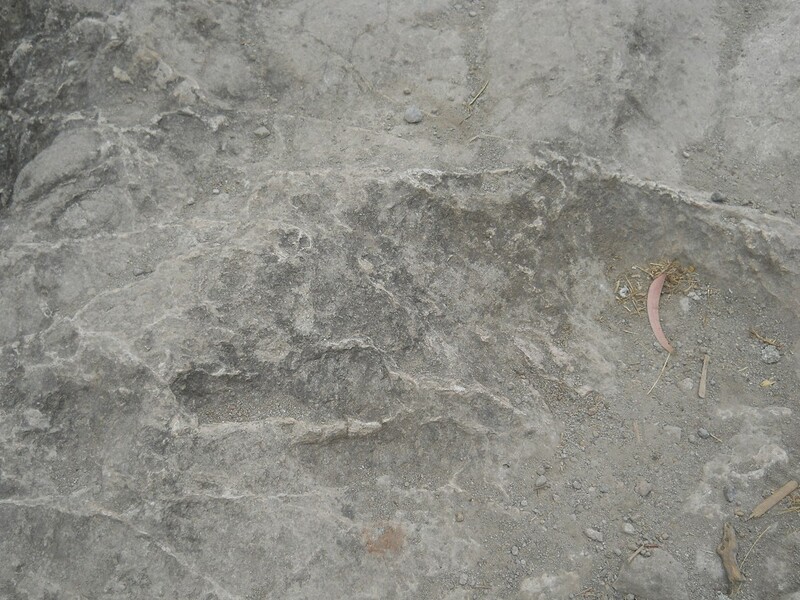 Of course this wall is made without mortar, is inclined, is quakesafe, and no stone is shaped like the other. 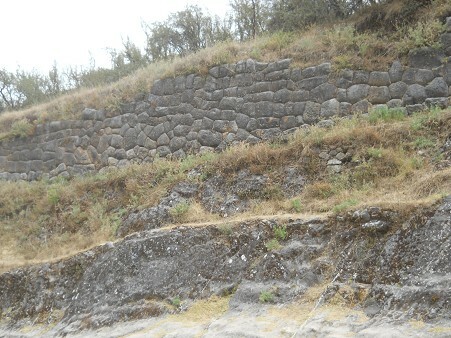 Who built this fantastic wall? Beings from another dimention - extraterrestrials were. 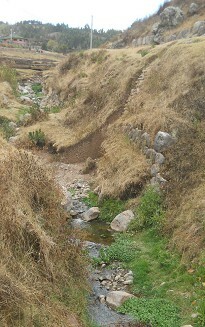 When this creek would be clean this would be a wonder hiking path. 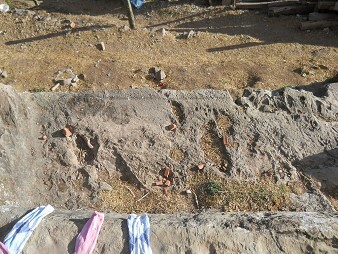 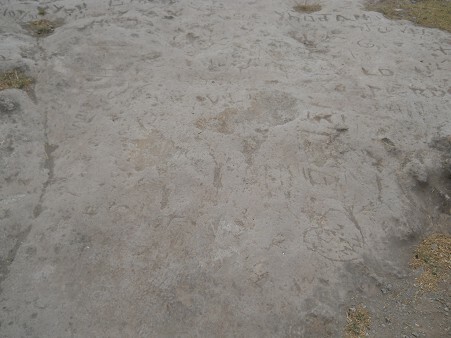 This could be remnants of another temple. 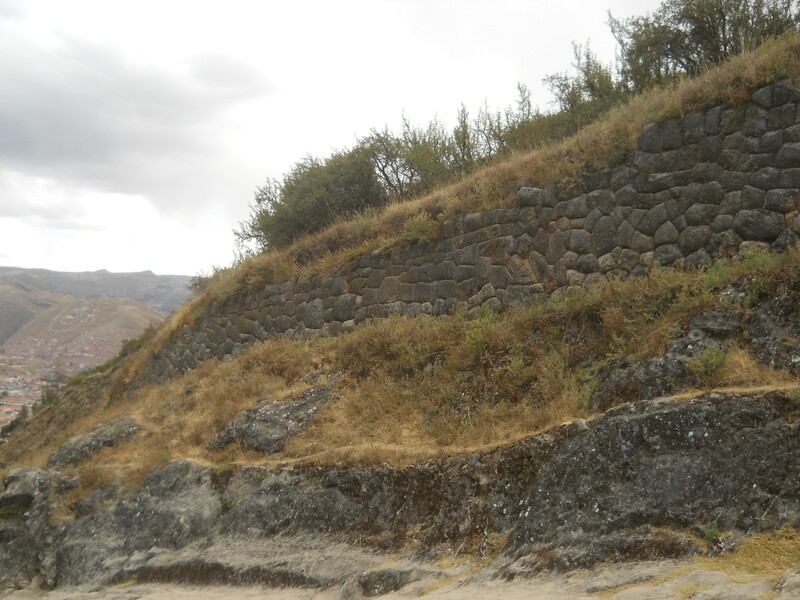 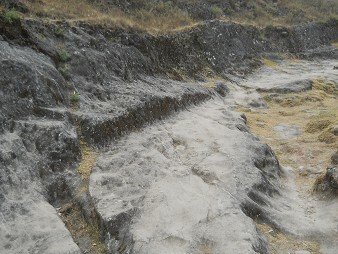 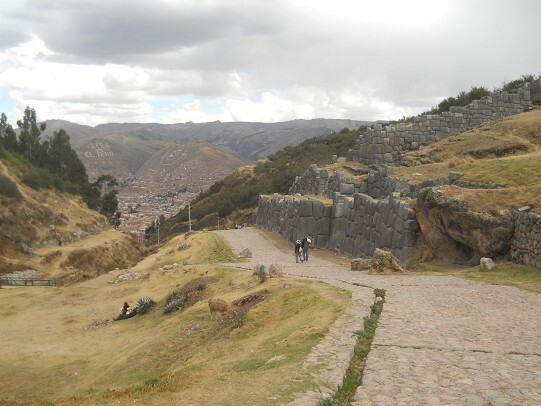 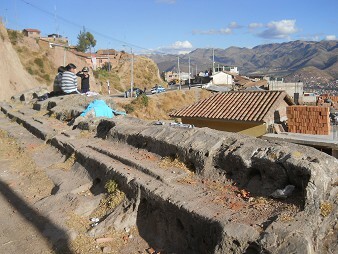 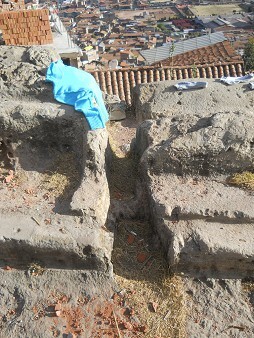 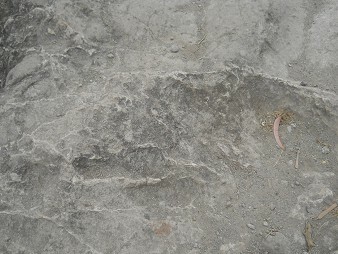 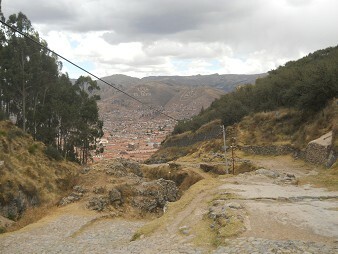 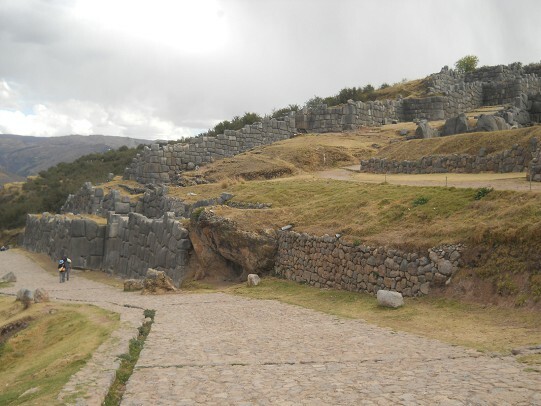 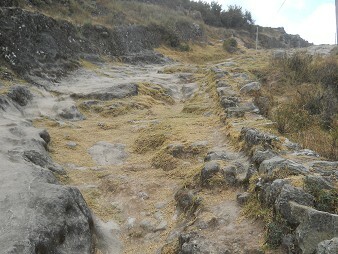 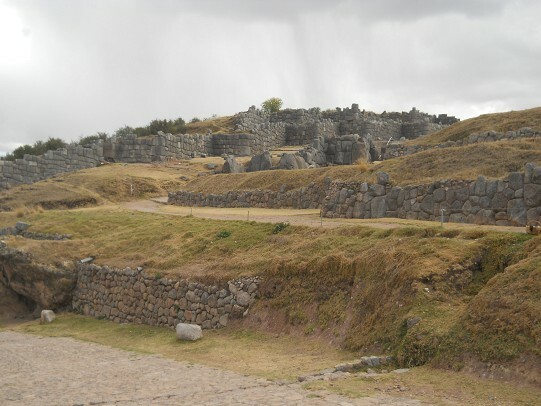 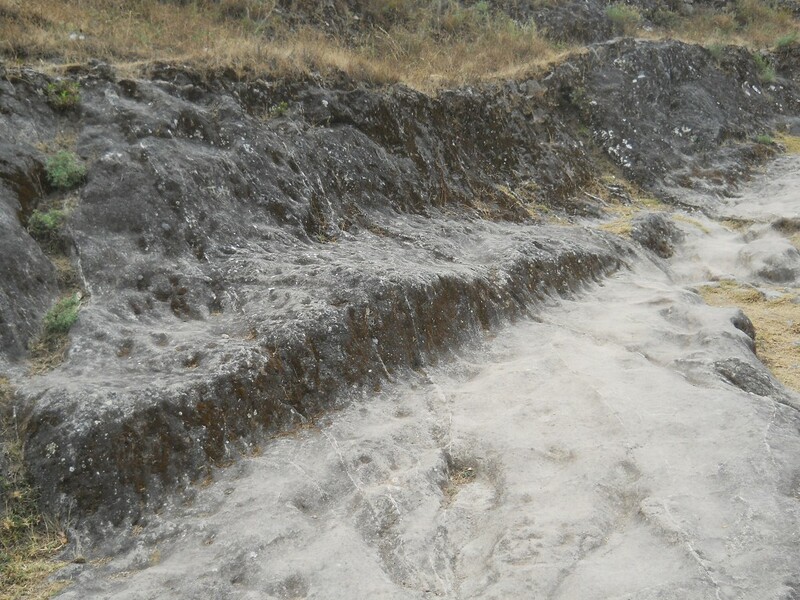 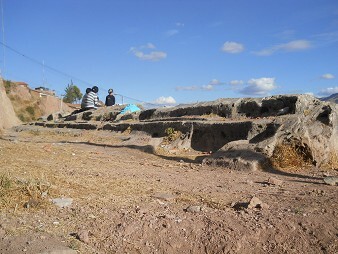 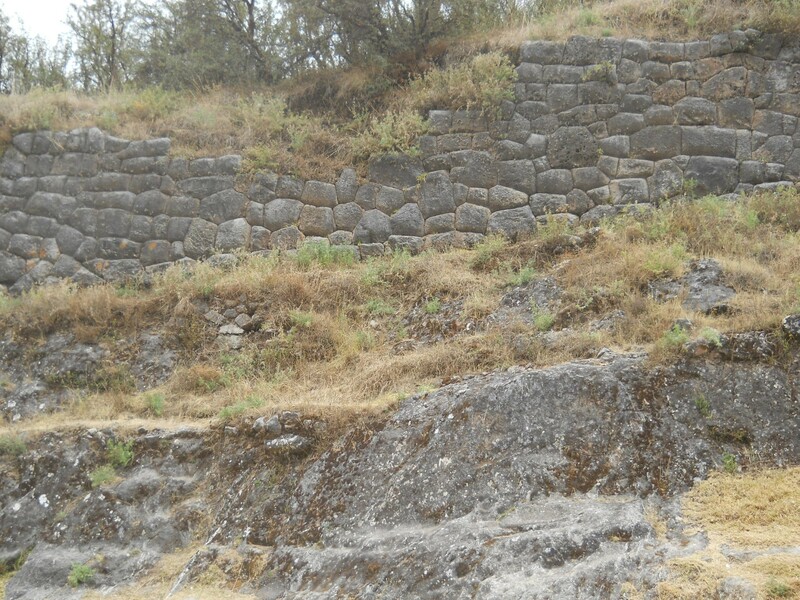 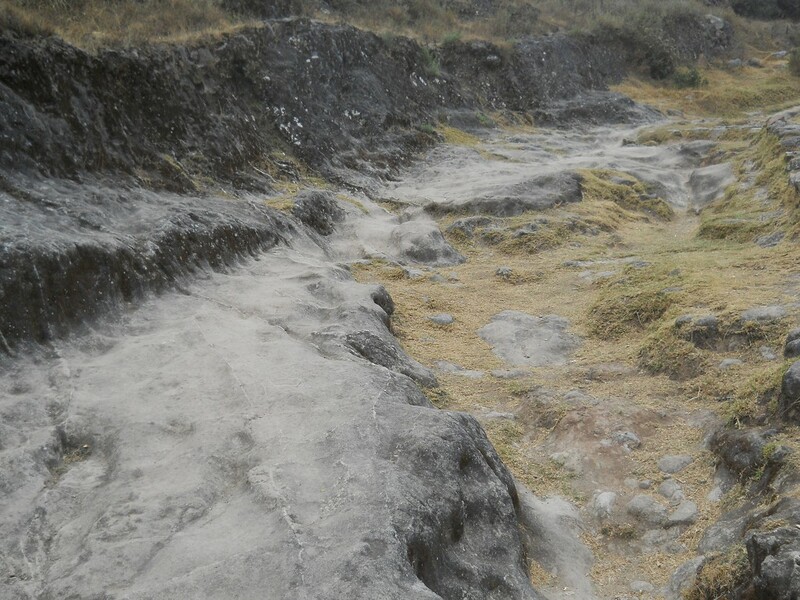 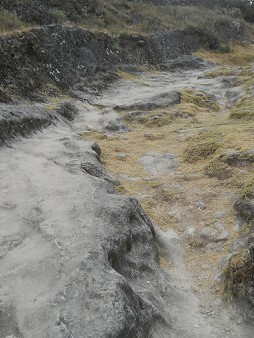 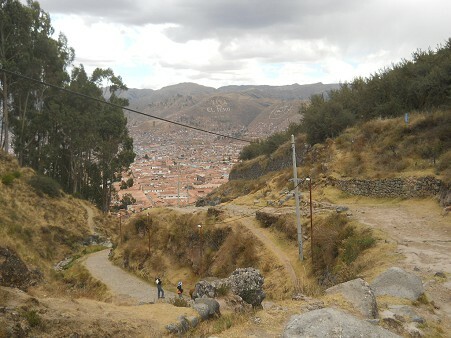 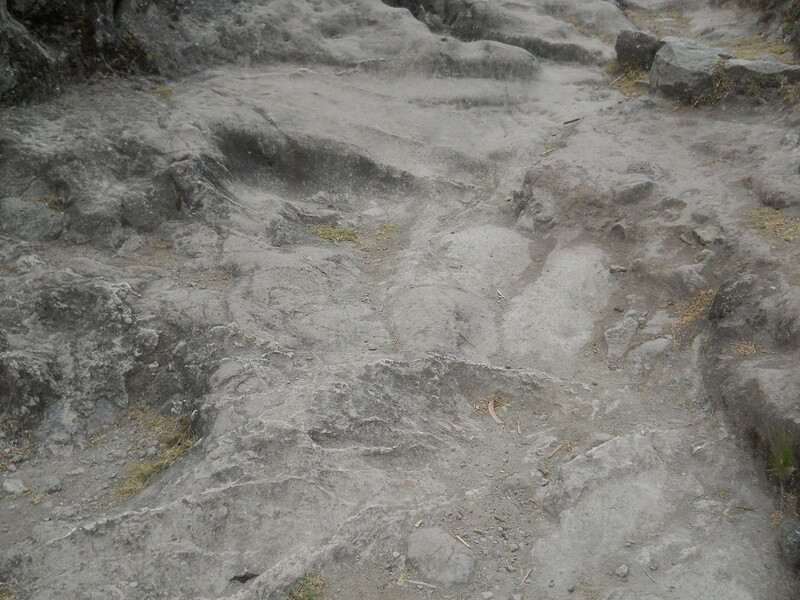 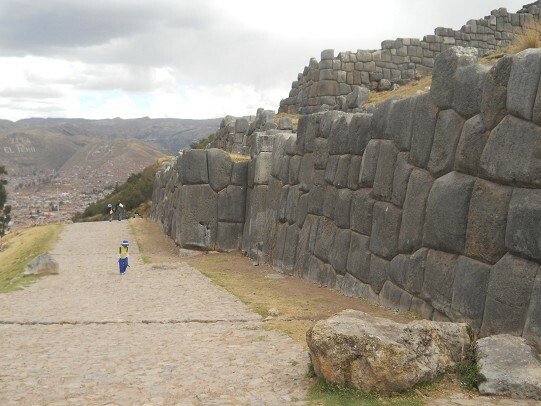 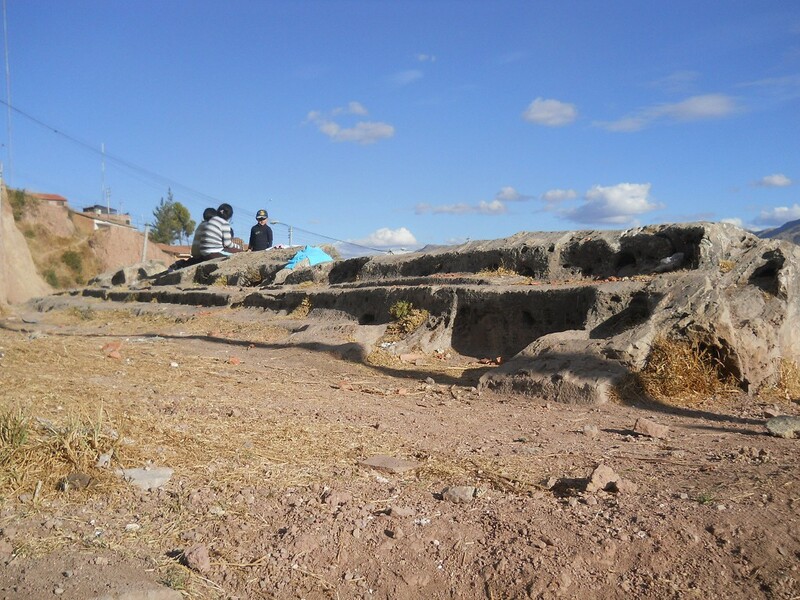 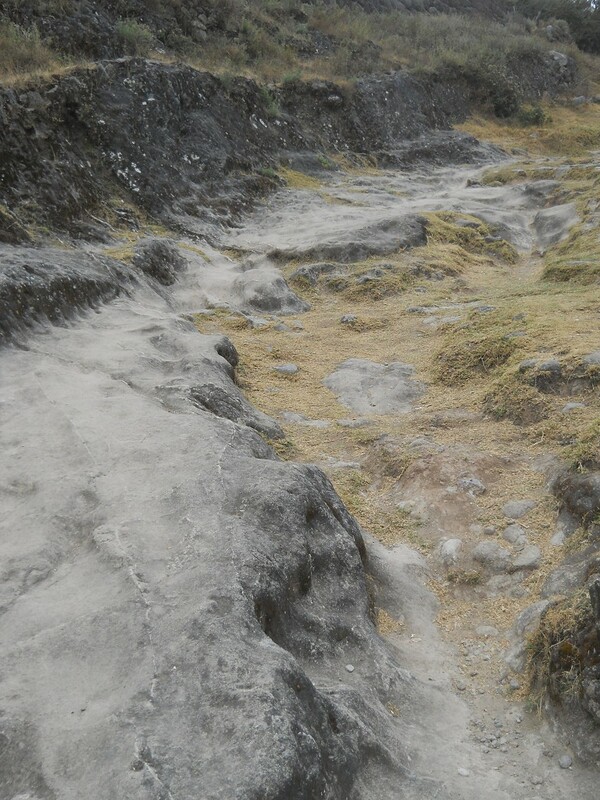 That means: the complete territory of Cusco could be constructed on temple ruins. When Cusco would be shifted and reerected in another place one could find many ruins and temples in the ground under this present town of Cusco (!). 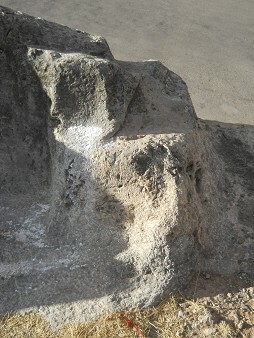 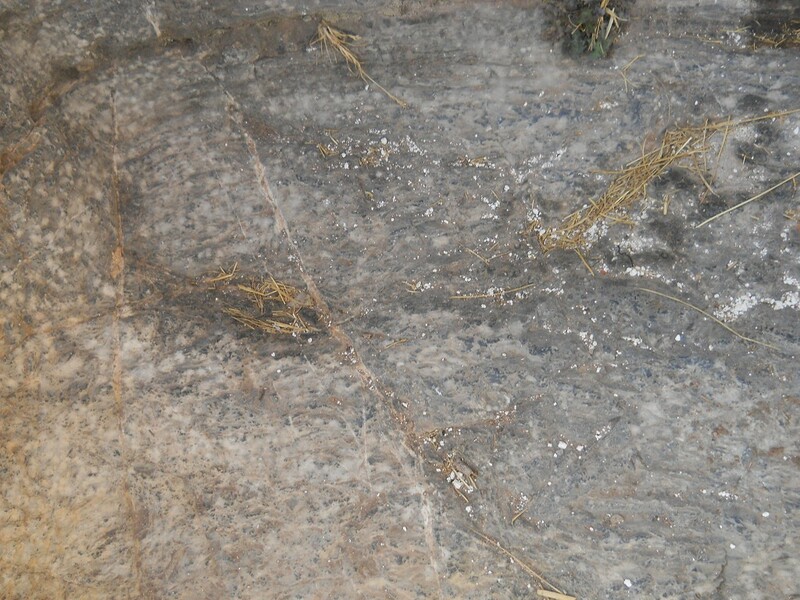 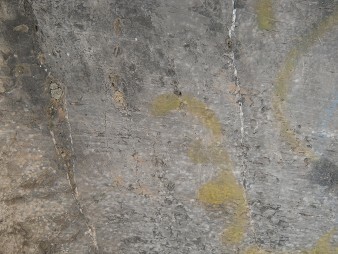 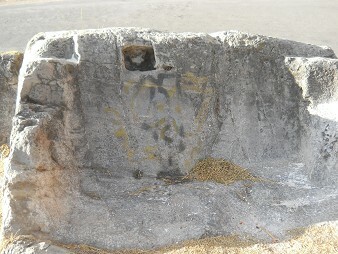 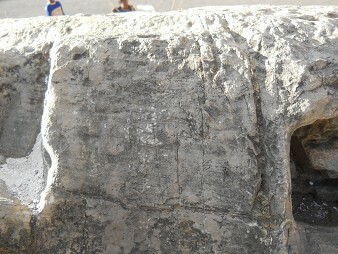 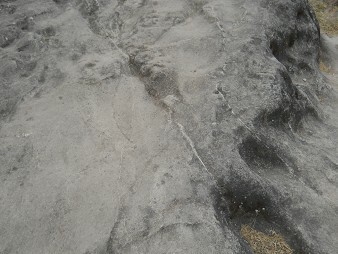 A giant white stone with niche, cuts, engravings, stairs etc. 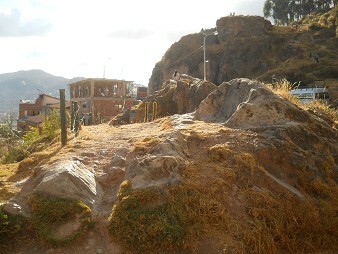 After this last giant stone one can take a taxi to the center of the town. 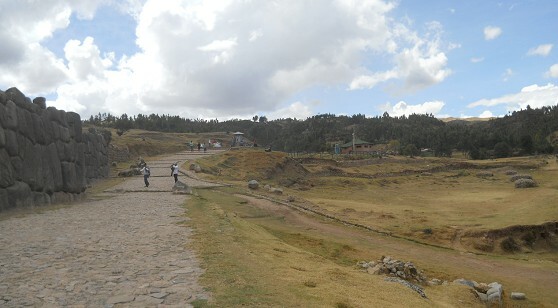 It was a long walk today.